Lately, several articles in the press have reinforced my presidential theme that ASCO makes a difference in cancer care WITH you. One piece in USA Today titled “Reports of drugs’ side effects soar” caught my attention. At first, I thought this report, written by Matthew Wynn and John Fauber, would be about some dangerous drug making a headline. In reality, it was an objectively written story of the improved adverse event (AE) reporting system instituted by the U.S. Food and Drug Administration (FDA) that permits better surveillance of AEs in the post-marketing environment. Some might lean on this report to raise the oft-repeated criticism that the FDA fails to protect the safety of our population by approving drugs sooner and faster than they should. Rather, in my opinion, it highlights the very narrow tightrope that FDA must walk, working as quickly as they can to get new therapeutics out to us, while ensuring that they are both safe and effective before they enter the marketplace. In many respects, the agency is damned if they do, and damned if they don’t. Let’s dig a bit deeper into this conundrum. Led by ASCO member Dr. Richard Pazdur, the Office of Hematology and Oncology Products, which has morphed into the Oncology Center of Excellence, has worked hard to streamline both the approval and the AE reporting systems. Indeed, over the last 3 years, FDA approved more than 40 new drugs or new indications for marketed drugs for cancer care. In each case, these drugs were proven to have exceeded a relatively high bar of efficacy, usually (although not always) demonstrated in well-designed prospective randomized trials. Likewise, in each case, at least the major and most common toxicities of the new drug had been evaluated in these same trials. Further, as highlighted in Wynn and Fauber’s article, FDA has worked hard to make post-marketing AE reporting easier and faster. Is this system perfect? No—but as Winston Churchill famously stated, “Democracy is the worst form of government, except for all the others.” Indeed, ASCO has provided its fair share of advice, and continues to do so. 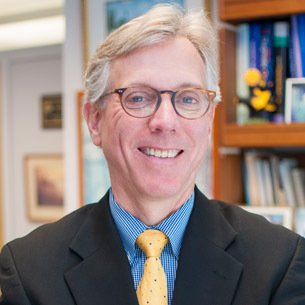 For example, in 2014, led by Dr. Lee Ellis and a team of ASCO volunteers, the Society published a statement that reflected consensus expert opinion on the magnitude of benefit that should be demonstrated in cancer clinical trials to declare a statistically significant result to be clinically meaningful.1 One can argue that this bar was either too high or low, but at least it provided some guidance to clinical trialists on what level of activity we as clinicians felt was meaningful to patients. Others have argued that efficacy doesn’t need to be demonstrated at all before drugs should be made available to patients with no standard treatment options. Dating back a decade and fostered by the Abigail Alliance, the Goldwater Institute, and other advocacy groups, many have called for a “right-to-try” policy. Such a policy would allow patients who have incurable cancer to have access to any drug that looks good in preclinical studies and that has gone through phase I clinical trials. Such an approach has broad emotional appeal, and right-to-try laws have now been passed in 33 states. Should emotion override science? Personally, I think not, but I can be accused of having a self-interest in such an opinion, since I have built a career as a clinical trialist. I do, in fact, hear and understand the argument of, “What do they have to lose?” Nonetheless, such laws concern me, and many of our colleagues, for several reasons. First, such a policy does, indeed, undercut the very nature of clinical trials that determine if the drug has sufficient evidence of activity to justify its being taken forward into larger, more definitive studies. In fact, the overall response rate in phase I trials, which is the circumstance in which many of the right-to-try patients would find themselves, is typically less than 10% and most drugs that enter phase I testing never make it to market. In other words, these agents looked good but failed to deliver. Second, and more important, the toxicities identified in phase I trials, which typically include a small number of carefully selected patients, are usually the most common and dramatic for a given drug. Less common adverse events, which may be either major or just annoying, are usually identified in later, larger trials and in post-marketing surveillance. Thus, in a right-to-try situation, a physician is offering a drug to a patient for whom quality of life is often the most important aspect of their circumstance, and about which the physician knows little or nothing of how it may affect them. Finally, who is to pay for these? Should we ask third-party payers to support the use of expensive drugs for which activity is unclear? Should we ask patients to pay out of pocket—a situation that will either lead to severe financial hardship or focus right-to-try drugs in a small group of wealthy individuals? Should we ask pharmaceutical companies to provide them for free? None of these is a satisfactory solution. ASCO has supported FDA’s efforts to streamline expanded access to investigational drugs, including requirements that an IRB review the circumstances and that the patient sign an IRB-approved consent form. Further, expanded access policies require that FDA has reviewed the request. Indeed, FDA has worked on streamlining this request process to make it as fast as possible, and it has approved over 99% of them. What’s more, on a societal benefit level, FDA requires the physician to submit a minimum amount of AE data from an expanded access program, so that future patients have an even better idea of what might be in store. ASCO has just released a Position Statement on Access to Investigational Drugs emphasizing these principles. I recognize this train has left the station, but I fear for the unintended consequences of these laws and for our patients’ well-being. I hope with time the expanded access program can be enhanced. In this case, patients who are justifiably desperate can receive exciting new drugs while we ensure their safety, and while we learn something for future individuals afflicted with cancer. What else is ASCO doing regarding AEs? Led by Dr. Julie Vose, my immediate predecessor as president, ASCO has convened a group of stakeholders in clinical cancer research to address how AEs are reported in clinical trials. If you participate in any clinical trial—whether within the NCI-sponsored cooperative groups or within pharma-sponsored studies—you are affected, often adversely, by a reporting system that grew over the last two decades like Topsy from Uncle Tom’s Cabin. Starting about 15 years ago, pharmaceutical companies began deluging those of us who conduct such trials with every AE regarding the relevant drug in the trial at hand ever reported in that or any other trial. These reports were provided to participating investigators with no upper “filter” as to whether the AEs were likely related, novel for this drug, repeated among more than one patient, or should be taken seriously. Caveat emptor is not a good way to practice clinical research. I’ll not forget receiving three such reports over a decade ago that described multiple sclerosis as an AE for a new drug being tested for breast cancer. Alarmed, I did my own sleuthing, and realized that the company was testing the drug in patients with MS, and since three of the participants had suffered progressive disease, this was reported to me as an “AE.” Want another? I have seen “pregnancy” listed as an AE in clinical trial reports. While, on occasion, a pregnancy may be as much an AE as a blessing for a specific patient being treated for cancer, it should not be reported as a drug-related AE. ASCO has already published a list of issues that we believe are deviating from best practices in clinical research.2 Of these, we all agreed that this unfiltered submission of AEs to participating clinical sites was unjustified, inefficient, and frankly dangerous. Over time, most of us were unable to keep up with the voluminous number of reports we received, and simply passed them onto our IRBs, which, likewise, seemed to file and forget them. Recognizing this conundrum, the FDA has issued a guidance specifically discouraging this process. Rather, they called for a more thoughtful and specific reporting policy so that the field investigators can better sort out what is new, severe and/or unexpected, and what needs to be addressed, versus events that are well known, not drug-related, and have little or no relevance to either patient safety or scientific integrity. Several companies have now adopted these recommendations. Doing so has not been easy for them, requiring both culture change and re-tooling internal procedures. Nonetheless, in the long run, they, we investigators, and more importantly patients participating in clinical trials will benefit from their doing so. Finally, we get to the issue of “real-world evidence.” Concerns have been raised that the 21st Century Cures Act, passed in a bipartisan vote at the end of the last Congress in December 2016, could be a “give-away to big pharma.”3 The main basis of this concern is the suggestion that the rigor of the drug approval would be less stringent, permitting the use of non-traditional data for review purposes. Rather than being a weakness, we believe this inclusion could be a strength of the law. We anticipate that FDA, which as noted has already been quite productive in approving new cancer drugs, will continue to insist on prospective trial results for primary approval. However, only 3% of adult patients with cancer participate in prospective clinical trials, often because the eligibility requirements are so exclusive that only the healthiest patients are enrolled. Collection of real-world data provides vital information about the safety and effectiveness of drugs once deployed in clinical practice. ASCO has been working hard to develop a rapid-learning system, called CancerLinQ®, which collects day-to-day data from patients seen by doctors who use electronic health records. As of this writing, we have more than 80 practices representing more than 1,200 oncologists who have contributed data on nearly 2 million individual (de-identified) patients. We have collaborative agreements with several of our sister societies, such as the American Society for Radiation Oncology, the Oncology Nursing Society, and the College of American Pathologists, to help us develop CancerLinQ. We anticipate that CancerLinQ will facilitate collection of post-marketing AEs in a far more comprehensive and rapid manner than is currently possible, so that we can all become aware of toxicities of the many new drugs in the kinds of patients we see every day in our offices. This is all good news. In summary, we’re making progress in better understanding, and communicating, the many issues surrounding AEs, although not as fast as we’d like. In the long run, our patients will benefit from all of these initiatives, and that is what ASCO is all about. Ellis LM, Bernstein DS, Voest EE, et al. American Society of Clinical Oncology perspective: Raising the bar for clinical trials by defining clinically meaningful outcomes. J Clin Oncol. 2014;32:1277-80. Vose JM, Levit LA, Hurley P, et al. Addressing administrative and regulatory burden in cancer clinical trials: Summary of a stakeholder survey and workshop hosted by the American Society of Clinical Oncology and the Association of American Cancer Institutes. J Clin Oncol. 2016;34:3796-802. Mazer D, Curfman G. 21st Century Cures Act lowers confidence in FDA-approved drugs and devices. Health Affairs Blog. February 14, 2017. Originally published March 30, 2017; updated April 7, 2017.